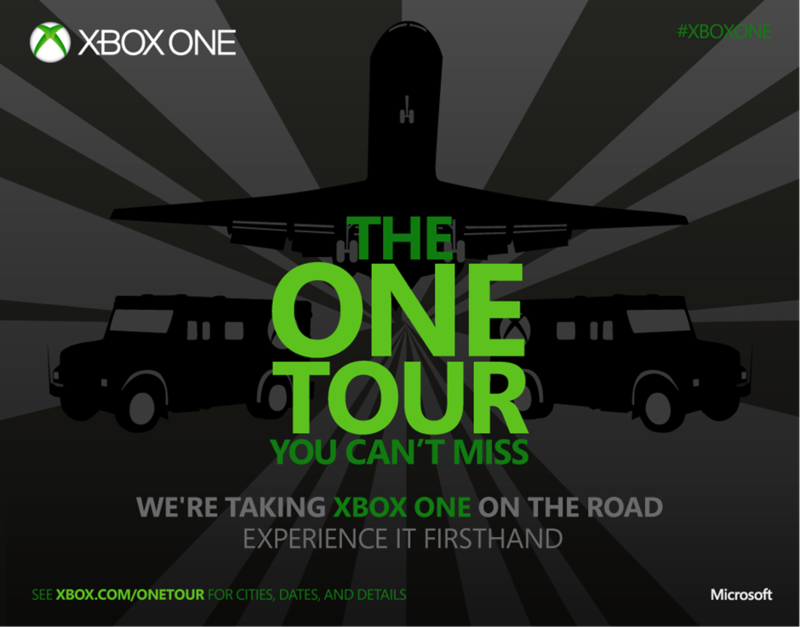 After the news partially leaked yesterday, Microsoft today unveiled that the Xbox team will be taking Xbox One on the road between October 1 and the end of the year. You’ll be able to check out the new console “through a series of experiential events” if you’re in one of the over 75 picked cities in the US, Canada, and Europe. What exactly will the events entail? You’ll be able to play the Xbox One line-up of blockbuster games with your friends for free (attendance costs nothing but space will be limited, so you’ll want to get there early). We wouldn’t be surprised if there were giveaways and prizes to be won as well. Not all games were confirmed, but Microsoft did specifically mention seven of them: Forza Motorsport 5, Ryse: Son of Rome, Killer Instinct, Dead Rising 3, Crimson Dragon, Max: Curse of the Brotherhood, and LocoCycle. That’s not a finite list: other games will be present as well. 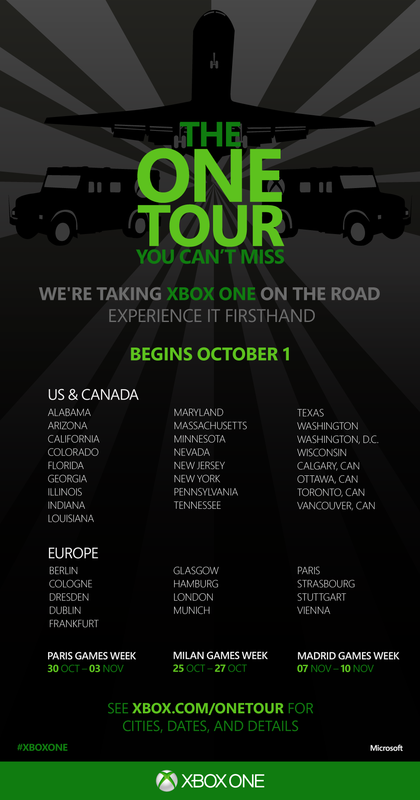 The Xbox One launches on November 22, meaning most of the listed cities will be able to try the console out before it arrives in store.